The Museo della Citta in Brescia is an interesting local history museum inside an historic monastery complex. It is one of the best museums in Northern Italy. The Museo della Citta is the local history museum in Brescia, the second largest city (after Milan) in Lombardy. The city had a colorful history with some prominence during Roman times and especially the early Middle Ages. The museum thus has some interesting stories to tell and has beautiful artwork to do so inside a wonderful former monastery complex. 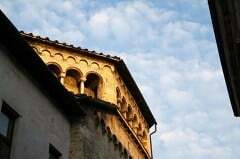 The Brescia City Museum is located inside the historic former monastery of San Salvatore and Santa Giulia. This Benedictine nunnery was founded in 753 by the Lombard king Desiderius and operated until its dissolution in 1798 on the orders of Napoleon. The monastery complex has a labyrinth of walkways and passages but the museum does an excellent job of guiding visitors through the displays on an easy to follow route. Museum personnel also help to guide visitors in the right direction and to point out when a bit of a detour is necessary to see some of the treasures. The main elements in the museum are explained in English too but most of the details are in Italian only. English audio guides are available. The simple museum map is also useful to guide visitors on two itineraries – that integrate easily – to see the monastery building as well as the museum displays. The first itinerary on the Brescia museum map is the History of the Monastery. However, it is often easier to see the museum itself first and the special monastery sights at the end. Be sure not to miss the Santa Maria in Solario church, which is toward the opposite end of the bookshop and the museum entrance. 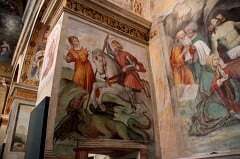 Of particular architectural and art interest are the three churches in the complex: San Salvatore is part Lombardian, Santa Maria in Solario is Romanesque, while the Nuns’ Choir in Santa Giulia and the cloisters are Renaissance. In such a setting Gothic elements are of course inevitable too. 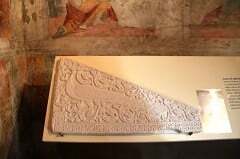 Star sights here include the Renaissance frescos of the Nun’s Choir in Santa Giulia, Byzantine-Ravennate capitals in San Salvatore, the 4th century Lipsanoteca ivory reliquary casket and the 8th-century Cross of Desiderius in the Santa Maria in Solario church. The second itinerary explains the 3000-year history of Brescia in chronological order. The display starts in the basement with prehistory and protohistory – Brescia was an important center for the Cenoman Gauls before the Romans took over and called it Brixia. The Roman section is much more extensive and uses the largest area of the museum. Top sights here include the 1st-century AD winged bronze statue of Aphrodite-Victory and six gilded busts of Roman emperors. 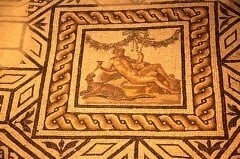 Roman foundations and mosaics are also worth seeing. Also interesting is the remains of a Roman road complete with the damage caused by chariot and wagon wheels. The Roman display is excellent but Roman ruins and museums are not in short supply in Italy. It is the early medieval period that really lifts the history museum to another level. Brescia was an important center for German rulers in the late-Roman era and early Middle Ages. The Lombards made it the capital of a duchy. Desiderius, the last Lombard king, founded the monastery. One of his daughters was the first abbess here while another daughter, briefly married to Charlemagne, probably lived here after her husband divorced her. Desiderius’s attempt to avenge this slight, lost Lombardy to Charlemagne and subjected northern Italy to German rule for centuries. 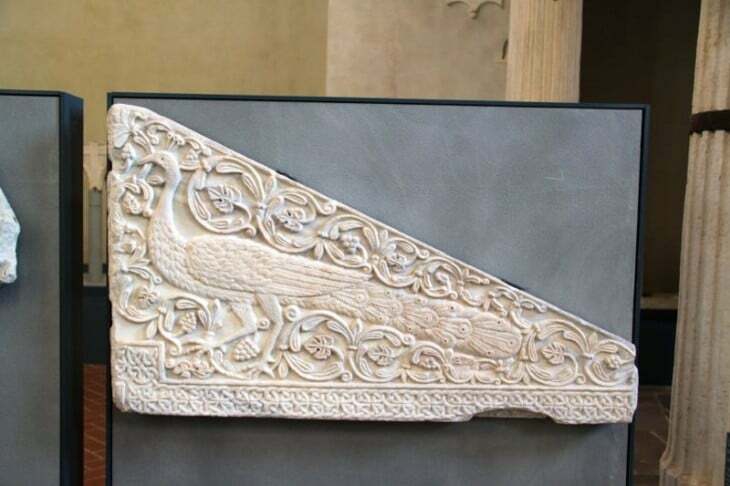 Look out for the 8th-century marble slab with peacock, the 9th-century windcock, and some finely worked capitals on display in San Salvatore. Brescia was an independent commune after the Italian threw the Hohenstaufen emperors out (mid-thirteenth century) but came again under the rule of strong Italian nobles. Milan sold Brescia to the Venetians in 1426, and despite various further battles, the Venetians stayed in control until the Napoleonic era. From this period, statues and frescos – especially in the Nuns’ Choir of San Salvatore – are the main exhibits. 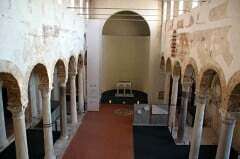 Opening hours of Santa Giulia Museo della Citta is Tuesday to Sunday from 10 am to 6 pm in summer (June to September) and 9:30 to 17:30 in winter (October to May). The museum is usually open on holiday Mondays too. Admission to the museum complex is €8 for adults, €4 for those over 65 or between 14 and 18, free for younger. The museum is proud of the special effort made to make the museum accessible to disabled visitors. The whole museum is accessible to wheelchair users. Special copies of major works with braille descriptions allow blind visitors to also experience the artworks. The City Museum is in Via Musei, a short walk from the Roman ruins and old town center. The area is closed off to non-residential traffic.